Whenever we fly to a foreign country we have to carry the local currency. But there are few countries where the local currency is not used widely, or the locals and tourists can make transactions in other international currencies. There are also countries that have accepted other international currencies as their legal tenders. We list down here few countries that possess surreal destinations along with autonomy to use other international currencies. Men in kilts, playing vibrant music on bagpipes are the first thoughts that come to mind when we think of Scotland. Delectable food, delicious craft beers and various varieties of whiskeys are some of your options to take your taste buds on an adventure. Numerous castles in Scotland will take you to a fairy tale land. Scotland has formed a currency union that has made British Pound, the most widely used currency. You can withdraw British Pounds from all ATMs and even use this currency in cash. So, when in Scotland do not worry about buying the local currency, you just have to exchange your currency for the British Pound and you are good to go. Zimbabwe attracts intrepid travellers because of its abundant greenery, beautiful waterfalls and caves. Zimbabwe’s vibrant culture is another reason why tourists visit this green country. Whether it’s watching Sunrise at Angkor Wat temple or witnessing a soothing sunset on the beaches of Koh Rong Samloem Island, Cambodia is beautiful and serene. This country is one of the few untouched tourist destinations in the world. The country is donned by beautiful temples, forests and national parks. Head to this hidden gem in Southeast Asia, and feast on unforgettable views. Cambodia uses US dollars on a massive scale and using dollars in cash is the best option here. Most of the ATMs in Cambodia dispense dollars and hence, you don’t have to worry about getting local currency or running out of cash. Known for its appetising chocolates, lovely canals and tasty beer, Belgium will delight you with its unique experiences. Cobblestone streets laden with museums and old architectural structures reflect the rich culture of this country. Belgium uses Euro as its national currency and hence, you can carry this currency in cash or card and not worry about the same. The good news here is that some of the neighbouring currencies also use Euros as their legal tenders. So, if you want to hop to neighbouring countries there’ll be one less thing to worry about. From the majestic Alhambra to mountain peaks covered with lava, Spain has many such treasures in its box. Apart from great tourist destinations in Spain, the beautiful architecture and their love for indigenous art forms will take you by delightful surprise. Cobbled street and various castles will transport you to your favourite Disney movie lands. As Spain is one of the countries on the European continent, it is no surprise that the only currency used in Spain is the Euro. Most of the ATMs in Spain accept forex cards. Even if you need to carry cash at some local markets, you can easily withdraw Euros from any of the ATMs. Most of the shops have electronic transaction facilities but travellers’ cheques are not as widely used in Spain. Not only this country offers to take you on a trip of a lifetime, but it also keeps away the hassle of hunting for local currencies. This is yet another country in the northern part of the European continent that is worth visiting. Though Amsterdam is the most popular destination in the Netherlands, there are other cities and towns such as Utrecht and Leiden where you can feast your eyes on surreal views. From cities that have water canals as their main public transport route to gothic cathedrals, this country has many hidden gems that will take you by surprise. Euros is again the local currency in the Netherlands. Most ATMs accept forex cards. Travellers’ cheques are rarely used. So even if you decide to carry some travellers’ cheques, cash it at the banks. Exchange your currency for Euros mostly at the banks and not at the airports as that can be very expensive with all the additional charges and fees. This country in Oceania consists of picturesque islands with stunning reefs and white sandy islands. Papua New Guinea is the perfect destination for those who want the best of both worlds i.e. beaches and mountains. Beach bums and mountain souls will like this destination equally. Papua New Guinea will surprise you with opposite worlds existing together with some beautiful coral reefs undersea and volcanic eruption sites. As Papua New Guinea is part of the Australasia ecozone, Australian dollars are widely used in this country. As most of the stuff in the country is imported from Australia you can carry most transactions in the Australian dollar. All high amounts of transactions can be carried out in Australian dollars whereas for small transactions you might need Kina. While forex cards are accepted at most hotels and restaurants most of the transactions are carried out in cash. Try to get the currencies beforehand because exchanging your currency for Australian dollars or Kina is very difficult in Papua New Guinea. Getting each country’s currency can be a hell of a task. 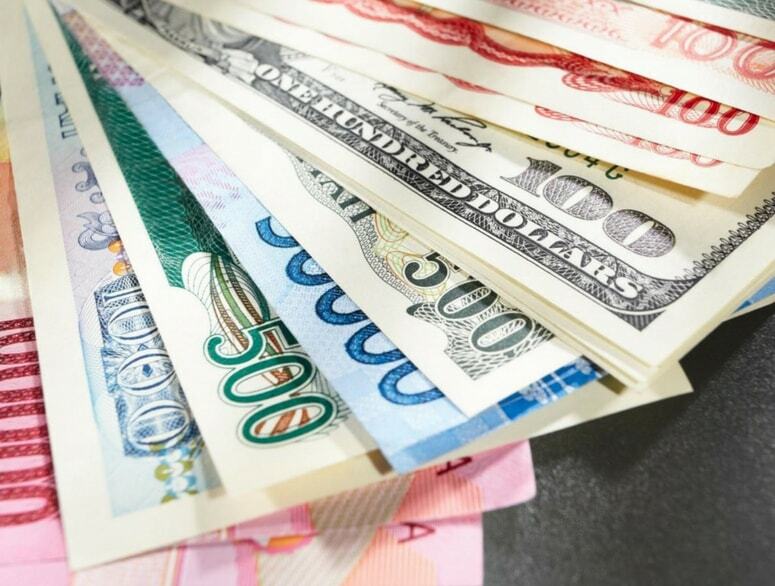 Using major currencies in the world while visiting these countries makes the job easy for you. Unlike local currencies, not only can you avail these currencies easily but also use it in other countries. You also get a better exchange rate in case you have to sell the currency. Thomas Cook’s Borderless Prepaid card allows you to load up to eight of these currencies which are widely used in the world. You can use this card at 35.2 million merchant establishments and 1.9 million ATMs worldwide. You can also easily upload or reload your forex cards online or on Thomas Cook’s app with just a few clicks. Discover these countries without worrying about getting foreign currency when Thomas Cook lets you load 8 eight currencies in your Borderless Prepaid card.